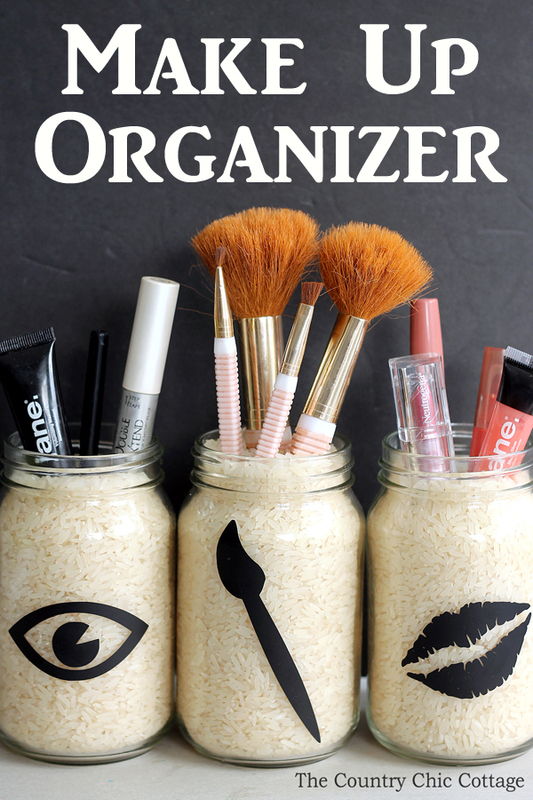 Keep your makeup tidy with these makeup organization ideas. One of these four ideas is sure to be perfect for your makeup collection. I love a great organization tip y’all. Seriously. I stalk the aisles of containers and baskets of every store that I step foot into. You may as well benefit from my organization tips right? Enjoy! A good makeup organizer is hard to come by. We have an idea for you today that will only take minutes to pull together and will keep you organized in the bathroom! Grab some mason jars and get started on this fun project right now. 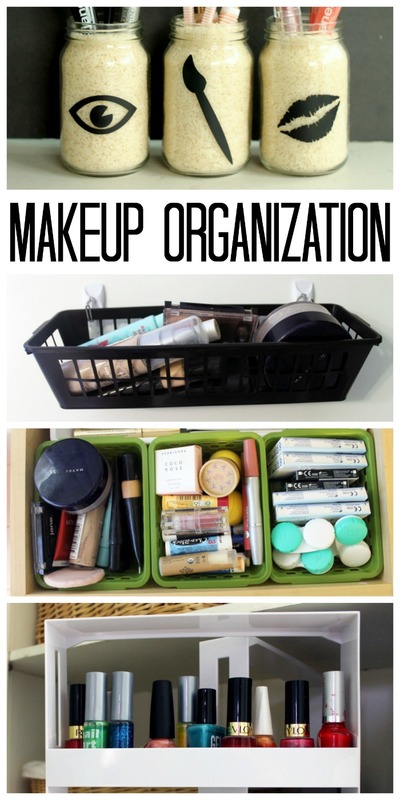 You will have a make up organizer in minutes and be ready to clean out that bathroom drawer into some cute and functional storage. Do you also want to win your own Silhouette? There are details on how to do that at the bottom of this post as well!